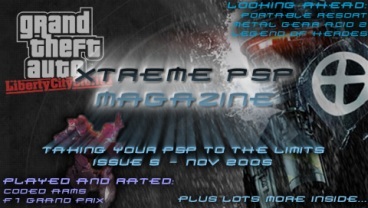 Home» News » XTREME PSP Mag Issue 5 Out Now! XTREME PSP Mag Issue 5 Out Now! Issue 5 of our exclusive PSP magazine is now available for download. This issue is packed with content with over 100 pages, including previews of Portable Resort, MGA2, Legend of heroes, reviews of F1 Grand Prix and Coded Arms, more useful tutorials, more of the latest news, tips and cheats, results of our recent online survey and lots more! Download it now! Check out the downloads section to download a copy now!